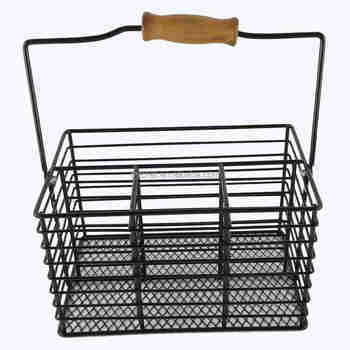 Add a shabby chic look to your next dinner party or picnic with this rustic metal cutlery caddy. 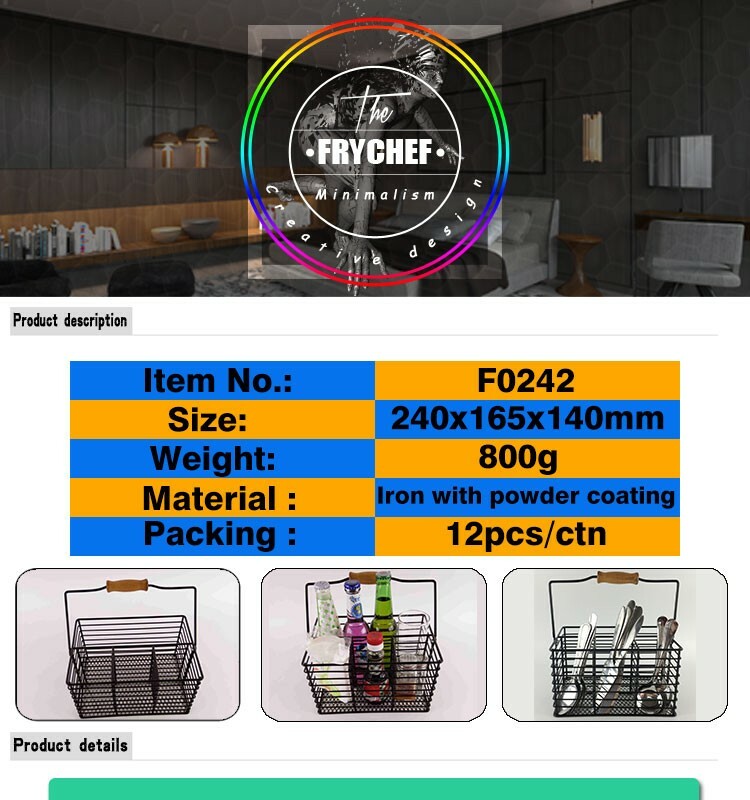 The basket features three small compartments and one long compartment for storing cutlery, napkins or condiments, and a folding carry handle. 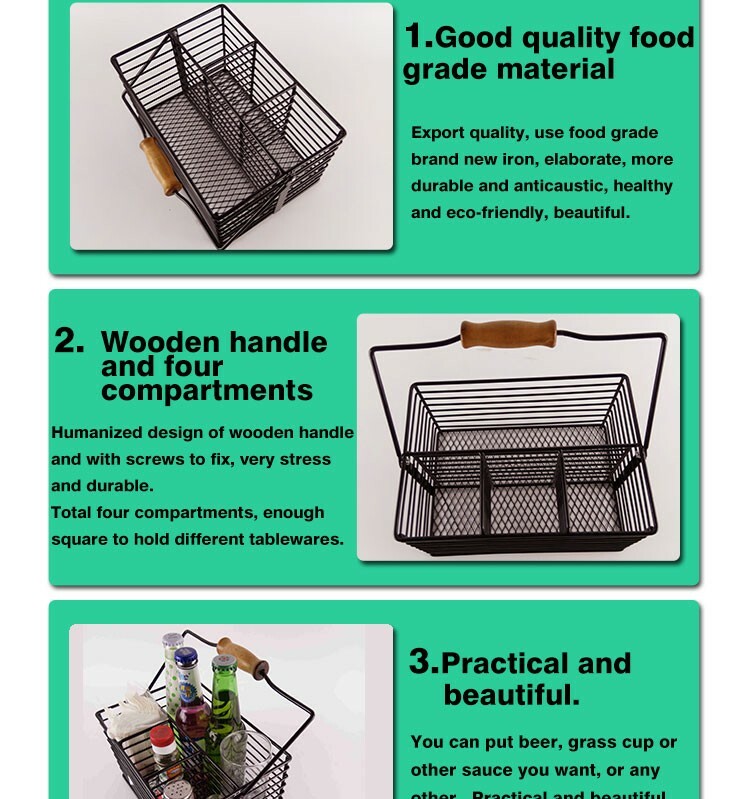 Basket features three small compartments and one long compartment.